Own this software your files can be easily published on the Web as well for fast and easy access to them from anywhere across the globe. Own this software, it can be shown on the Web not only as a standalone document in a separate window but also can be embedded in a web page and shown inside it altogether with other web page content. 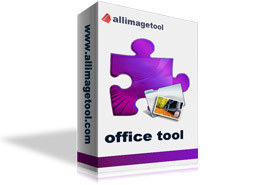 It supports a lot of popular formats: pdf, doc, docx, docm, xls, xlsx, xlsm, ppt, pptx, pptm, rtf, txt, html, htm, url and any type of images files jpg, jpeg, bmp, gif, tif, wmf, emf etc with fast speed and professional quality. The conversion is extremely easy to use without any technical requirements. Convert images like GIF, TIFF, JPEG to Flash Video with preserving the original image layout. Convert PowerPoint, PDF to flash video with ease. Directly convert webpage of internet or local html to Flash video. More, extract the URL from some character strings automatically to add to the converted list for conversion. Merge multiple images to Flash video without losing original style etc. Precise control the output video quality with more parameters settings. Support resize the output file for your need. Support set flv/swf play speed.